All patients who are not able to claim their visit to a third party must pay for their visit at the time of consultation. We accept cheque, cash or EFTPOS. We also have HICAPS for those who are able to claim a rebate from their health fund. For more information on HICAPS read the following section. We have HICAPS - this means that you can swipe health insurance card (like your credit card) and you only pay the gap. Nearly all health insurance companies are linked to this service. The gap is usually between 50% and 90% of our scheduled fee and varies between health funds and different levels of cover. For more information about HICAPS click on their logo ion this page and enter their website. We are a Medibank Private Membercare provider and MBF Memberchoice provider. This means we must provide a standard of care to meet the health funds satisfaction. We also lower our prices a little and they put up their payment is keep the gap as small as possible. For more details for one of these health funds click onto the respective logo on this page and enter their website. We accept patients who injure themselves at work and are covered by workers compensation insurance. We will invoice the insurance company directly and there is no gap payment for the patient. Workcover stipulates patients who present to physiotherapy under workers compensation must have a referral from their treating doctor. For more general information about an injured workers entitlements etc click onto the Workcover logo on this page and enter their website. We accept patients who have a gold or white DVA card. We will invoice veteran affairs directly and there is no gap payment needed by the patient. Veteran Affairs stipulates that patients who present to physiotherapy who hold a white card must have a referral from their treating doctor. We accept patients who have an EPC (Enhanced Primary Care) plan formulated by their treating doctor and a referral for physiotherapy. An EPC referral is only for available to patients with chronic conditions. We will invoice Medicare directly and there is no gap payment necessary by the patient. Patients must have the plan and doctors referral when they present for their first session. For more general information on Medicare and physiotherapy click onto the Medicare website and enter their website. 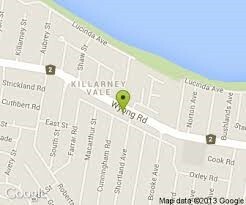 We accept patients who are injured in a car accident in NSW and who are not the driver at fault. The patient must have a doctors referral and must have approval from the CTP insurance company of the driver. Unfortunately we are unable to hold accounts for patients who do not have insurance approval. We invoice the insurance company directly and there is no gap payment necessary by the patient. For more general information on what you must do if you are injured in a motor vehicle accident click onto the Motor Accidents Authority website logo and enter their website. Ryan is the principal physiotherapist and owns the business with his wife Melanie(see secretary). Ryan graduated from Sydney University in 1996 and worked throughout a few hospitals and private practices in Sydney before coming to the coast in 2000 for a little holiday...and did not go home. 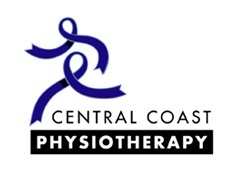 Ryan's philosophy on physiotherapy is a combination of quality hands-on therapy and exercise prescription. Ryan has spent a number of years putting together the extensive gymnasium and equipment to the practice which he is proud to boast. 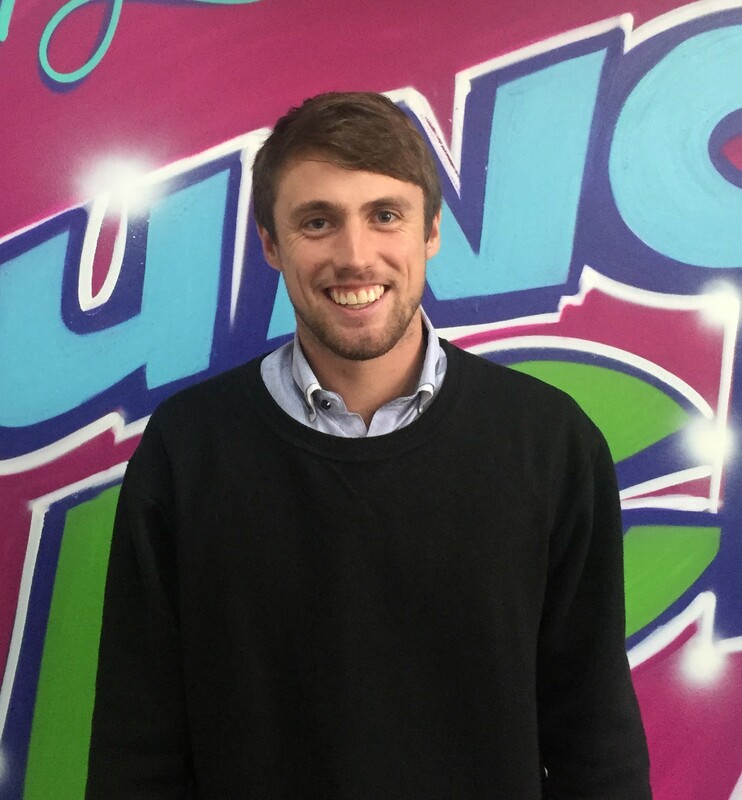 Ryan believes life to too short not to have fun at work and likes a physiotherapy session to be highly professional but a lot of laughs too. You can e-mail Ryan direct on the link below. Dean completed his Bachelor of Physiotherapy at Newcastle University at the end of 2013. Dean is a Newcastle boy born and bred made the plunge and moved to the Terrigal with some fellow university graduates. Dean likes training and competing in triathlons as well as camping and spear fishing. I think this photo was taken a day that Newcastle won a game of footy....which is not luckily often. You can e-mail Dean direct on the link below. Melanie is the friendly voice you hear when you ring and the delightful face that greets you when you arrive. Melanie the the wife of Ryan and although she chooses to use her skills to run the practice she has a degree in psychology which she earned from Macquarie University in Sydney. Melanie hates dogs but gets her exercise as a member of The Entrance Hockey Club. You can e-mail Melanie direct on the link below. This page gives you all of the details you need to know about our team, how to contact us and our prices. Scroll down or click on one of the links to view this information. 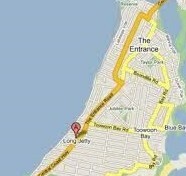 The nearest cross street is Thompson St and we are between the Mobility Centre and The Long Jetty Hotel. There is plenty of street parking or there is a huge carpark at the rear of our building which can be entered off Thompson street on the lake side. There is a ramp through the arcade for wheelchair access. 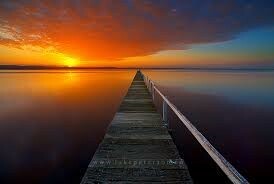 Long Jetty is the suburb between The Entrance and Bateau Bay and is 13km from the F3 for those travelling from afar. Take the Tuggerah/Wyong/The Entrance exit along Wyong Rd and go through 13 roundabouts. Take a left at the round about at the Entrance Rd(now also called the Central Coast Highway) and we are 1km north bound on the left side. This practice is located upstairs in the KV Medical Centre building. The building is the old squash courts or around the side of the Fish Market behind Coles. Enter through the main doors and straight up the stairs. Whilst there is a chair lift we recommend those patients with mobility issues to visit our Long Jetty practice which is completely wheelchair friendly. Below is a table of our charges for private patients. For more specific information for those who are able to claim their treatment to their health fund or a third party follow any of the links below for more specific information. Katie joined our team in 2011 and spreads her time between the 2 sites. You can e-mail Katie direct on the link below.